REMEMBER TO LOG-OUT AND LOG-IN BACK TO SEE THE BALANCE CHANGE AFTER PARTICIPATING IN THE ICO. Afterwards check your email for confirmation. Please have a look in your spam folder as well. 1 Click here to enable Two-factor Authentication which means that you will receive a confirmation code to your email every time that you log-in. 3 Enter this number, that you have received in your mailbox to the verification box on DECENT ICO website. After the ICO each participant will be able to withdraw DCT through entering his/her DCT wallet address. 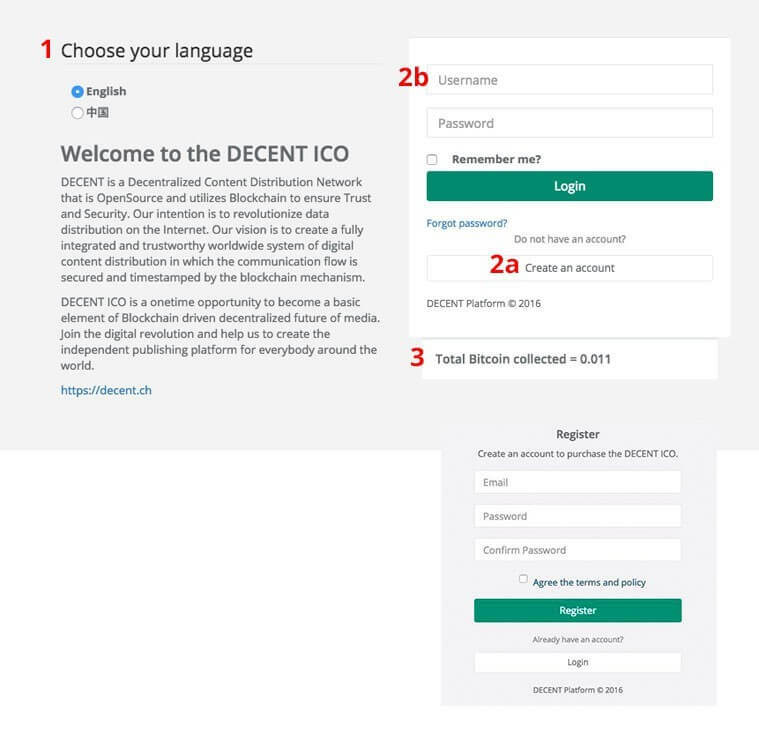 This option will be available upon the network launch after logging into the participant’s profile on DECENT ICO page using his/her email and password.